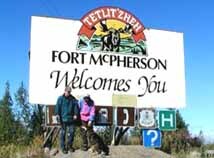 Fort McPherson is located on a narrow slope of land that rises above the Peel River at the northern edge of the treeline. Canoeists can paddle the Peel River on its winding route to the Mackenzie Delta. The famous Dempster Highway runs by Fort McPherson. The Peel River Inns North Hotel has been charming Arctic travellers with their famous brand of arctic hospitality since 1972. 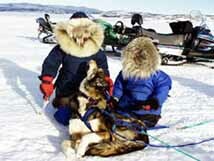 Our relationships with the local co-operative store and experienced outfitters will help guarantee you'll return home with many exciting stories of your arctic adventures. 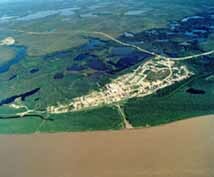 Click here to learn more about the Peel River Inn and the community of Fort McPherson , Northwest Territories.